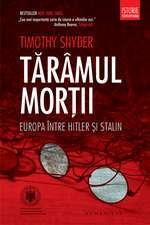 Timothy Snyder teaches undergraduate and graduate courses in modern East European political history. He received his doctorate from the University of Oxford in 1997. where he was a British Marshall Scholar. Before joining the faculty at Yale in 2001, he held fellowships in Paris and Vienna, and an Academy Scholarship at Harvard. De (autor) Tony Judt et al. 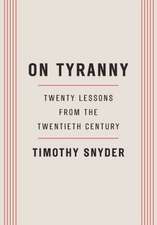 De (autor) Timothy Snyder et al. De (autor) Isaiah Berlin et al. Editat de Timothy Snyder et al. De (autor) Victor Martinovich et al. Editat de Agnes Hirschi et al.